Did you know that sports accidents reportedly account for 10 to 39 percent of all dental injuries in children? With an estimated 35 million children ages 5-18 playing organized sports, and parents spending upwards of $5 billion a year on their involvement (excluding gas and travel expenses, estimated at another $7 billion), marketing your dental practice to tomorrow’s sports heroes is a pretty safe bet. While a 6-year-old missing their two front teeth can be a cause for parental celebration, a teenager sporting the same toothless grin is less likely to warm the cockles of a parent’s heart. To help parents prevent this painful situation, start by educating them on the importance of proper protection. The ADA estimates that a third of all dental injuries are sports related and that the use of a mouthguard can prevent more than 200,000 oral injuries each year. In fact, the ADA reports that an athlete is 60 times more likely to suffer harm to the teeth when not wearing a mouthguard. Sports such as baseball, basketball, soccer, softball, wrestling, volleyball and gymnastics lag far behind in injury protection for girls and boys. A harsh impact to the jaw can alter the growth of a child’s facial features, or cause a concussion that could have otherwise been avoided. That’s some serious risk. 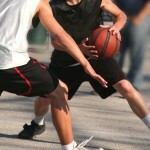 Baseball and basketball have the highest incidence of sports-related dental injuries in children 7 to 17 years of age. Youth participating in leisure activities such as skateboarding, inline or roller skating, and bicycling also benefit from appropriate protective equipment. Some brands, including Under Armour, even offer a warranty (theirs is $32,000) should a child have a dental-related injury during a supervised sporting event. So, don’t hold this information close to the vest. Share your expertise with your patients, and inform them about the importance of wearing a mouthguard. Coaches, parents, and the athletes themselves all need to hear from you on this issue. And when you get each audience talking about mouthguards, you’re going to start a fever of discussion about why every athlete needs to be wearing one. Do an extra-special job of catering to the specific interests of each audience, and you’ll really score a home run. For athletes, customization and team branding can be a good selling point. So could the obvious – keeping their teeth in their head. Mention a potential boyfriend or girlfriend appreciating this and watch them reach for their cell phone to call their parents the moment they leave your chair. Coaches always want to keep their best players healthy and on the field, so cover these aspects of mouthguard use with this group. This audience also needs to be aware of the performance-enhancing properties of a sports mouthguard. By helping athletes keep their airways open, these dental appliances increase endurance and reaction time when it matters most. School administrators enjoy keeping their schools out of the “bad news” category. Show them how making mouthguards mandatory can save their school from the headaches of lawsuits and other expenditures. We’ve spoken previously about how to gain press exposure for your dental practice, and detailed how you can position yourself as a community health expert. Here’s another opportunity for you to capitalize on your knowledge. Offer yourself up as an expert when youth sports begin, or whenever you hear a story about a local or national sports injury. When such events occur, the media is always clamoring for a local angle. Be that angle. To find starting times for leagues near you, visit http://www.eteamz.com/ for a directory of leagues in a variety of sports throughout the country. No kid wants to go through school looking like a 1970s-era hockey star, and no parent wants to foot the bill to repair that smile. You can help both of them avoid such a fate. Just do it.